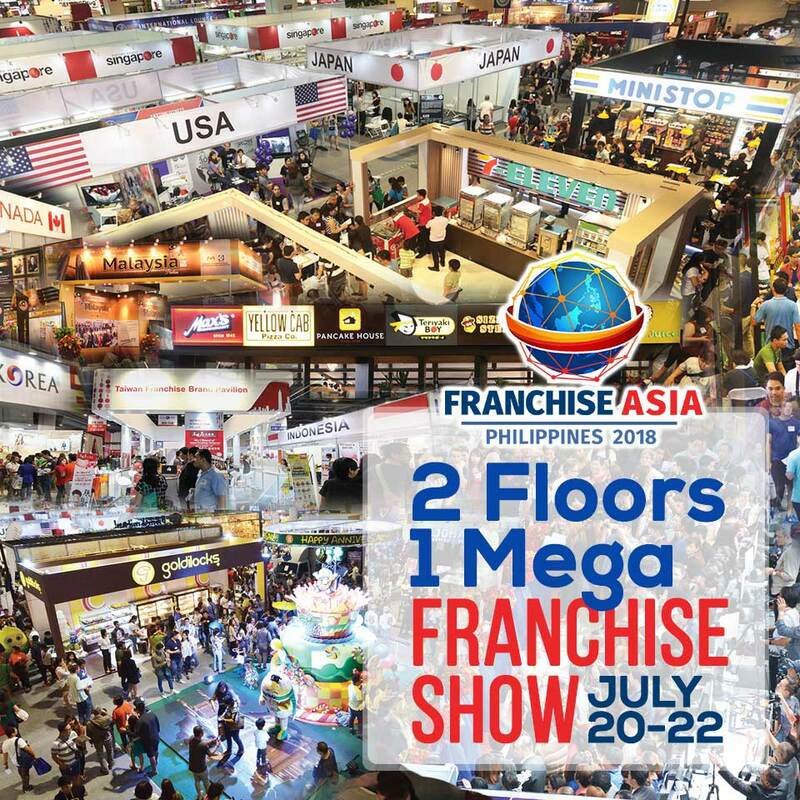 Franchise Asia is scheduled from July 18 to 22 at the SMX Mall of Asia. With dozens of activities, 700+ brands and over 52,000 visitors, here’s a guide to help you navigate the weeklong Franchise Asia activities. Keynote speakers include Department of Trade and Industry Secretary Ramon Lopez, international speakers from the US, Malaysia and Singapore, digital transformation experts, finance and operations practitioners. Over 1,000 delegates from over a dozen countries are expected to attend. The Franchise Asia Conference is the perfect venue to learn from both experts and fellow colleagues in the franchise industry. TIP: Franchise Asia is open to all MSMEs, not just franchisors. Delegates from outside Metro Manila get 50 percent off on their registration rates. With over 700 local and international brands participating, Franchise Asia gives you the ability to talk to the key franchises in the industry and select from among the best franchise brands both locally and internationally. This year boasts an even bigger expo area with a food park, regional pavilions and an innovation hub at the second floor. Catch the newest and most exciting food brands from around the country and visit various innovation pavilions with the latest in digital technology, branding, store designs, locations and logistics. TIP: Various prizes and freebies are given away at the food park and innovation hub. Franchise experts and professionals will guide you through the franchise process and give you a step-by-step guide on how to transform your business into a franchise. TIP: Make sure to book a slot for a free consultation with a franchise consultant after the seminar. TIP: There are limited meeting slots, so make sure you pre-register to secure meetings with the brands you’re interested in! The Franchise Asia International Conference is happening on July 18 & 19 and will be followed by the International Franchise Expo on Jul 20 to 22 at SMX Mall of Asia. It is organized by the Philippine Franchise Association and co-presented by BPI Family Ka-Negosyo & PLDT SME Nation For more information, visit https://franchiseasiaph.com, or contact the Philippine Franchise Association at (+632) 579-4841 or 0999-8833732.